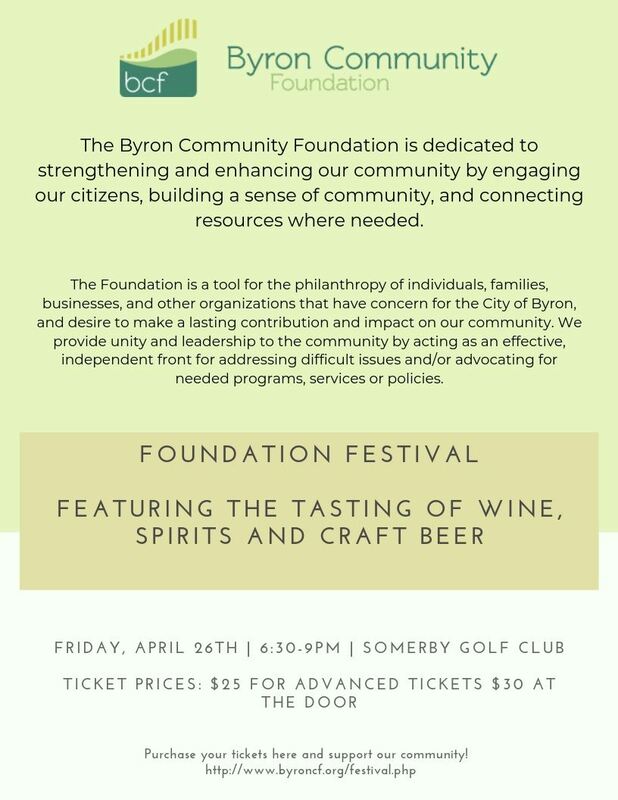 To connect and promote businesses serving Byron, provide networking opportunities and assist our members in achieving continued prosperity in the community. 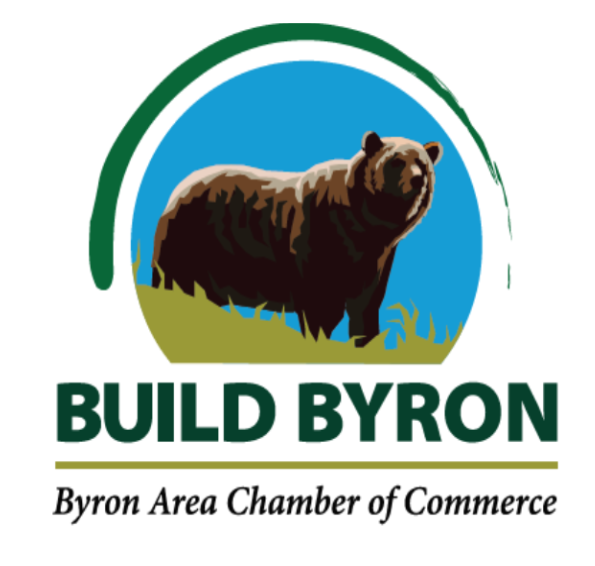 Meet and Greets and Educational Events are the premier networking events for the Byron Chamber. The five (5) scheduled Meet and Greets (Conversation and Cocktails) are opportunities for Chamber members and their employees to network with other members while learning a bit more about the monthly host. These Meet and Greets bring together businessmen and women for networking, door prizes, hors d'oeuvres and refreshments. You won't want to miss this valuable networking opportunity! The five (5) Lunch and Learn Educational Events will give Chamber members a chance to expand their knowledge about topics that may affect their business and our community. We hope you and your employees will join us for these valuable networking opportunities! With the help of our members, each year together we host annual public events. These events are a great way for our members to connect with our community. As part of our new member perks we will feature your business on our website. If you are a new member this year please connect with us if you'd like to have your business profiled. 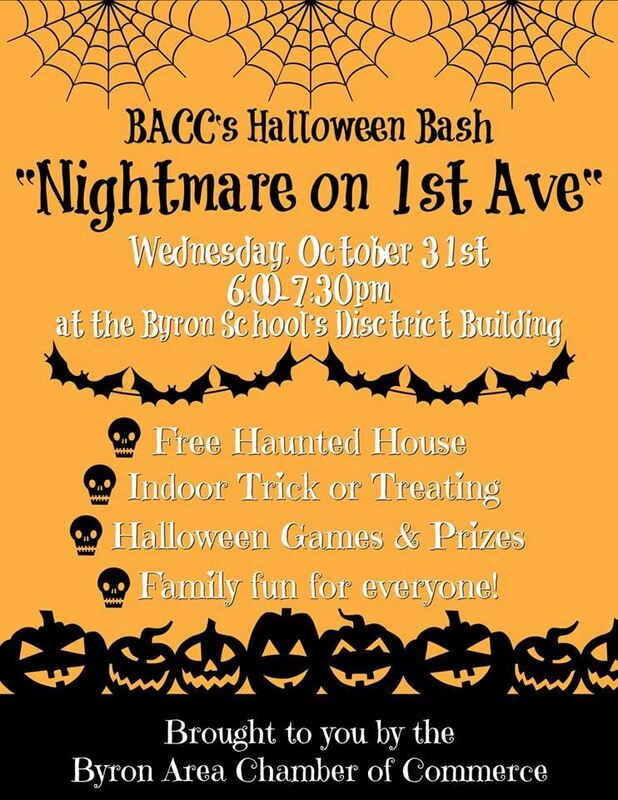 Just another great benefit of being part of the BACC! Click HERE to be directed to the City of Byron Website for the Byron Community News - Brought to you by Byron EDA and City Staff. All articles written by Gretta Becay.